The coastal city of Stavanger ranks among Norway's top culinary destinations, its fine restaurants and food fairs an increasingly popular attraction with impassioned foodies from around the globe. Kick off your visit on the 16th (Tue): appreciate the views at Lysefjord, then get curious at Norwegian Petroleum Museum, then take in the architecture and atmosphere at Stavanger Cathedral, and finally steep yourself in history at Old Stavanger. 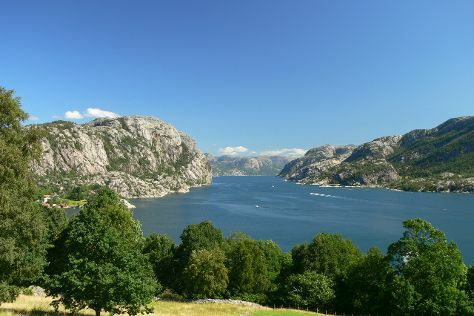 To see reviews, traveler tips, other places to visit, and more tourist information, go to the Stavanger tour planner. The Route module shows you travel options from your home to Stavanger. August in Stavanger sees daily highs of 22°C and lows of 14°C at night.